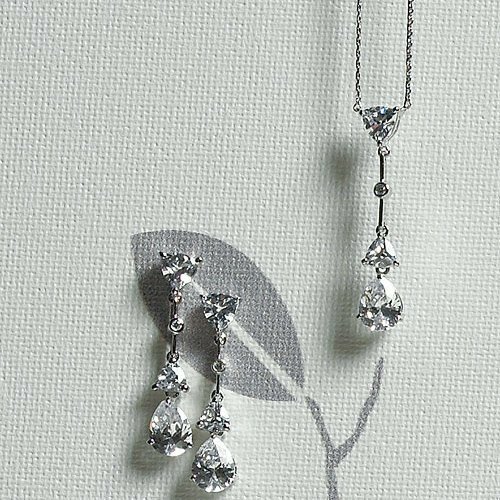 Made to look like real diamonds, this beautiful jewelry set is constructed with sparkling Cubic Zirconia. 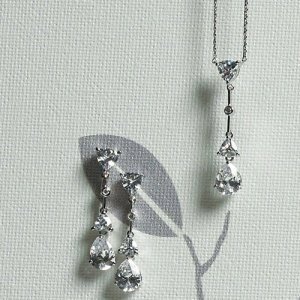 The 16-18" drop pendant style necklace features the popular pear cut crystal dangling from a silver chain. The pierced earrings feature the same dangling pattern and pear cut shape. They will look dazzling on your big day and for years to come!